Public vs. Private Projects: What’s the Difference When It Comes to Liens? If you are a general contractor, subcontractor, or supplier who provides goods or services to a New York construction project, a mechanic’s lien protects your ability to get paid. However, the laws and procedures vary depending on whether the project is a public or private one. If your invoice for a private project goes unpaid, New York law allows you to file a mechanic’s lien on the property, giving you a legal interest in it. The lien must be filed within eight months of last furnishing services or materials (four months if the project was a single-family dwelling) and enforced within a year. Enforcement generally involves selling the property to obtain the money to satisfy your claim. Collecting payment for work or materials supplied to a public project is a lot different. You cannot generally file a mechanic’s lien against a public project because state and federal law prohibit your company from obtaining an interest in public property. The manner of collecting payment depends on the type and even value of the project. Most public construction projects will start only after the issuing of a payment bond. In the event of nonpayment, you file a lien on the bond instead of foreclosing on the property. Bond claims must generally be filed within 120 days of last furnishing labor or materials and you must foreclose on the claim within a year after filing. If the work involved a public improvement, you file a Notice of Mechanic’s Lien on Account of Public Improvement against the funds owed to the general contractor. You have 30 days from the time the public entity accepts the project to file the lien. Like bond claims, the lien must be enforced within a year. The federal Miller Act requires general contractors on government projects valued at $100,000 or more to post payment bonds that guarantee both performance of their duties and payment of their subcontractors and suppliers. (General contractors do not have rights under the Miller Act: if their invoices are not paid, their only right is to sue the public entity that hired them.) 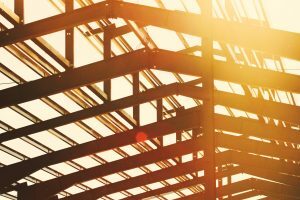 Subcontractors and suppliers must file a claim within 90 days of last providing labor or materials to a project, and enforcement is due within one year. New York has its own Miller Act in the form of State Finance Law Section 137 (also known as the “Little Miller Act.”) It protects subcontractors, suppliers, sub-subcontractors, and suppliers to subcontractors that work on a public project valued at $100,000 and up. Some situations are extremely complicated. For example, you may work on a privately funded project on publicly owned land. In this hypothetical scenario, you can’t file a lien against the property because it is publicly owned, and there is no public improvement fund that can be subject to a lien. In these and similar situations, your best course of action is to consult a professional in the area of New York lien law. At NYLiens LLC we will advise you on how to proceed against a public or private project that owes you money. Whether you need to file a mechanic’s lien or bond claim, we will guide you through the necessary steps from start to finish. For more information, please contact us to schedule a consultation.